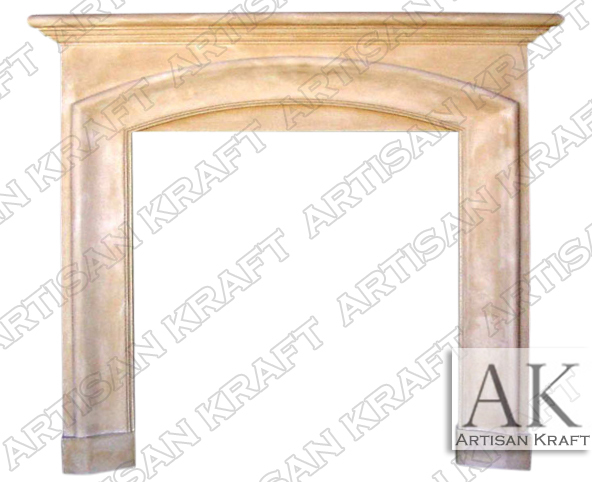 Marlboro a slim mantel surround with an arch that accents the firebox. Elegant curved trim with straight lines make it a great contemporary option. 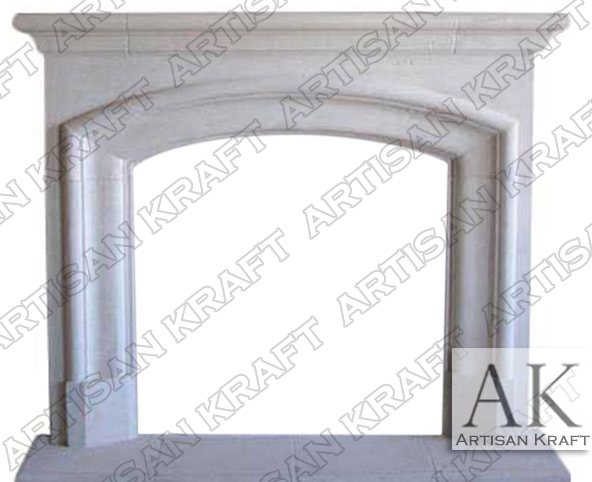 Arched opening can be made straight. Pictured in precast which is similar to cast stone. Mantel-shelf can be manufactured in one piece as well as the hearth. This old world design also works great in a traditional or contemporary setting. Have it installed in your craftsman home. It is also a great option for any sort of multi unit including hotel rooms or apartments. We work with developers and builders to make this option feasible. A lot of our fireplaces are delivered to New Jersey and installed there as well thus the name Marlboro, New Jersey. Typical Dimensions: 60.5″W x 52″H x 9″D; Opening: 42″W x 36.5″H *can be made to custom dimensions. Stone: cast stone, limestone, sandstone, marble fireplace, travertine etc. Available in many different colors, textures and finishes.